Overlooking Klong Khong beach and the Andaman Sea, this stylish development of 21 apartments is offered for sale. Situated on the hillside just moments from the beach, facilities include a sea view roof top terrace with restaurant and swimming pool, a fitness centre and a management office to look after the day to day running. 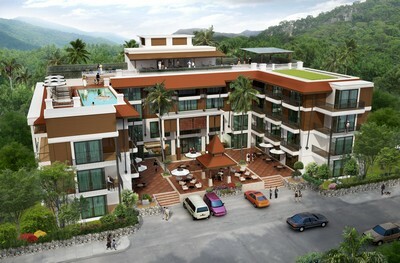 With a choice of 4 different styles, units are available from 36 � 64sqm with prices starting at 2.1m Thai Baht.